I think of inflammation as part of my inner fire. Just like any house fire, you want a healthy, warm fire in the fireplace, not something that burns the house down. 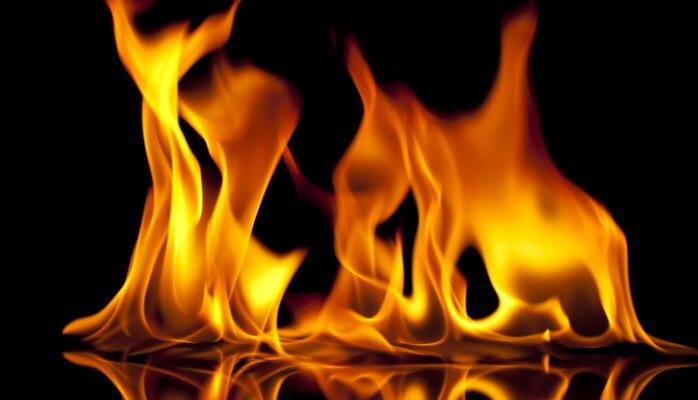 In the modern world, we’re seeing a lot more houses burning down through problems of chronic inflammation than anyone would like to admit. Inflammation has been found to be the root of many sicknesses and a fair portion of disease, especially chronic and autoimmune disorders. But how much do you really understand about inflammation? If you’re struggling with inflammation, what can be done about it? Acute inflammation is actually a good thing, as it is a healthy body’s response to outside influences that threaten the body. Your body responds with an acute inflammatory response to things like bacteria, viruses, toxic substances and even things like vaccines (which don’t work without the inflammatory response). This acute inflammation protects you from things like disease, infection and even aids in repairing tissue after an injury. When the invading substance is no longer a threat, the inflammatory response should go back to normal, with the pathogens destroyed and the tissue rebuilt from any damage the pathogen may have caused. In the end, you’re healthier, are left with a stronger immune system, and the inflammation goes away. The problems begin when chronic inflammation occurs, that is, the inflammatory response doesn’t shut off. This usually happens because the trigger of inflammation doesn’t go away, or when the body becomes confused and starts to attack itself as part of the inflammatory response. Both of these situations are becoming more prevalent, partially because our culture does not do seasonal cleanses and partially because some environmental irritants are less easier to notice or even detect. In the case of environmental triggers, these can keep the inflammatory response on over a long period of time, even if the effects are not detected at first. This is what we call chronic inflammation, which can lead to tissue damage that grows more serious over time as the inflammatory cycle perpetuates itself and the damage in the body becomes compounded. Some triggers for chronic inflammation include poor diet (especially fast food), stress, extra weight (obesity), smoking and other environmental or occupational toxins, sedentary behaviors, a lack of sleep and others. Free radical exposure from pollution begins the inflammatory response, and sustained exposure can lead to chronic problems. Fat cells secrete proteins that cause more inflammation. Sugar, trans fats, alcohol, stress and a lack of sleep are all linked to increased inflammation in the body. So what can you do about it? First, take a look at your lifestyle and see where changes can be made. Can you be more active more often, even simply talking on the phone in the office while you’re standing up? Can you cut back on fast food by doing all your cooking for the week on a day off and freezing your meals for a fast heat up? If you’re a smoker, can you at least cut down on smoking or use other forms of stimulants to replace some of your smoking habits (many have had positive results using black pepper, for instance)? Can you drive with the windows of the car up and use the filtered air in the car instead of blasting your face with city pollution when you drive around? And when it comes to water, remember that if you don’t filter it, you become the filter yourself. Healthy oils (specifically omega 3s and monounsaturated fats) have been shown to cut the inflammatory response, as has the phytonutrients found in fruits, whole grains and vegetables, so how can you replace unhealthy foods with more of these? Next, consider a seasonal cleanse involving two weeks of fresh, vegetarian foods and clean water. I don’t personally believe that it’s a coincidence that cleansing plants grow during season changes. Right now spring is on the way, and you’re going to start seeing dandelion leaves everywhere. That’s one plant that pulls toxins- that is, an unhelpful substance that leads to inflammation- from the body. Dandelion leaves are actually quite tasty if you pick them before the flowers come up on the plant (at which point the leaves become bitter). Other good plants that are found in a lot of backyards for cleansing include cilantro, which pulls heavy metals from the body (one of the primary causes of inflammation in vaccines which does not leave the body on it’s own), and parsley. Lastly, seriously consider how your relationships are affecting your health. Holistically, anger, agitation, and irritation translate into inflammation in the body. If you struggle with these, it’s time to sit down and meditate on what the root causes of these imbalances are so you can resolve them in a deep, meaningful and permanent way. As you make positive healthy changes in your life, you’ll start to feel the difference and be glad you made those changes. If you find in your meditation that a deep emotional issue is at the root of some of your agitation and you think you need support, or if you find you need a coach in making those lifestyle changes, that’s when you make an appointment with a holistic professional to help you out (we offer all of these services at Embody Healing, LLC), but in many cases you can begin to make these changes on your own. Next Article Next Article: Is a Balanced Life Possible?